I will admit I am a bit of a make-up snob and tend to spend quite a lot of money on quality products, however for some reason it doesn't extend as far as hair and body care generally as most of that sort of thing I will buy from Boots or the supermarket and don't spend a fortune on. I use make-up every day, and I always buy good quality foundation, powder, eye shadows etc. I think it's because I notice the difference in how the products wear and also because although you shell out for them in the first place they last a long time, so I feel as though I'm getting value for money. But if I was to pay out a lot for a bottle of conditioner, it would be gone within about 6 washes and I would just feel short changed. So until I am rich I think I will mostly stick with the more purse friendly brands for that sort of thing. So here are two budget friendly items I am currently loving. 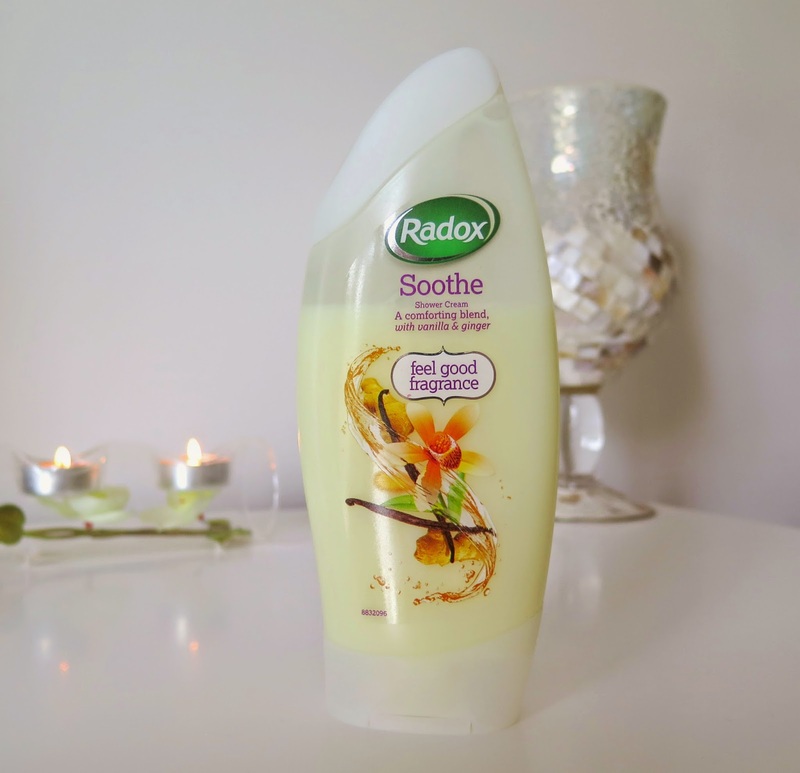 Radox shower gel in vanilla and ginger scent. This bottle was on special in Boots and cost me 99p! It smells absolutely gorgeous and I am in love, so will be heading back to bulk buy it whilst it's still on offer. Now I could write all wonderful things about the ingredients and say how it makes my skin silky smooth, but to be honest it cleans me so I don't smell like a tramp and I love the fragrance. 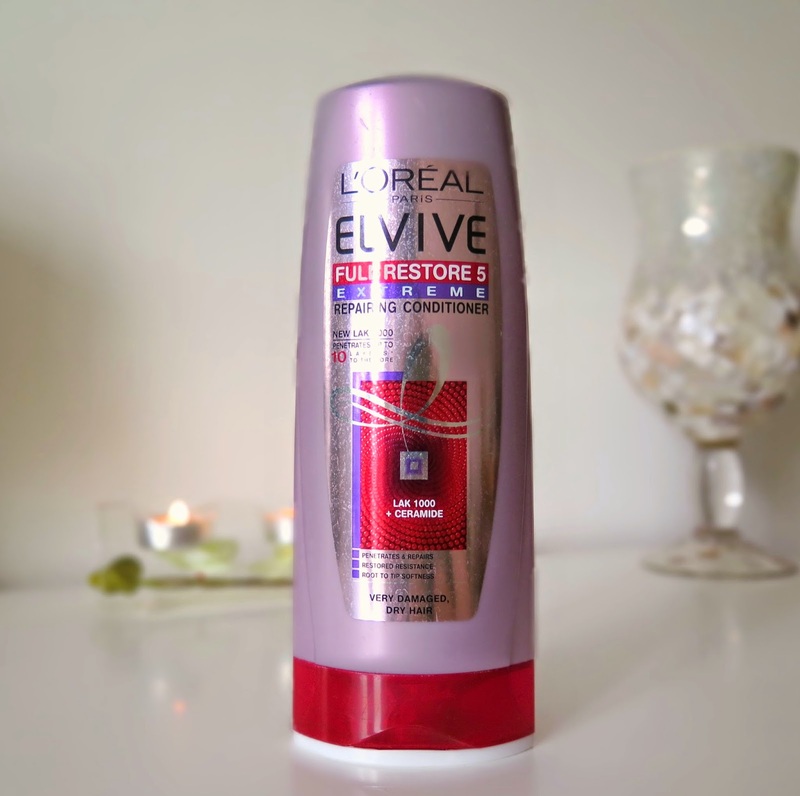 L'Oreal Elvive Full Restore conditioner. Now this stuff I really am going to get on my high horse about. I have long hair, that is naturally curly, dry by nature and then I go and bleach and straighten it to add insult to injury. Normally I just look for a conditioner that will at least enable me to get a comb through it when wet, and I have become used to the fact that I have to use an immense amount every time I wash my hair or else said comb does not go through hair when wet. I bought this conditioner when it was on buy one get one free, (you see a pattern forming here, I can sometimes be a little bit cheap, or frugal as I like to say.) it was a chance buy because I had run out of conditioner and my hair really needed washing and I had just done a huge food shop so didn't want to add loads more to the bill with conditioner, and ah look at that, special offer, two for the price of one, yes please! 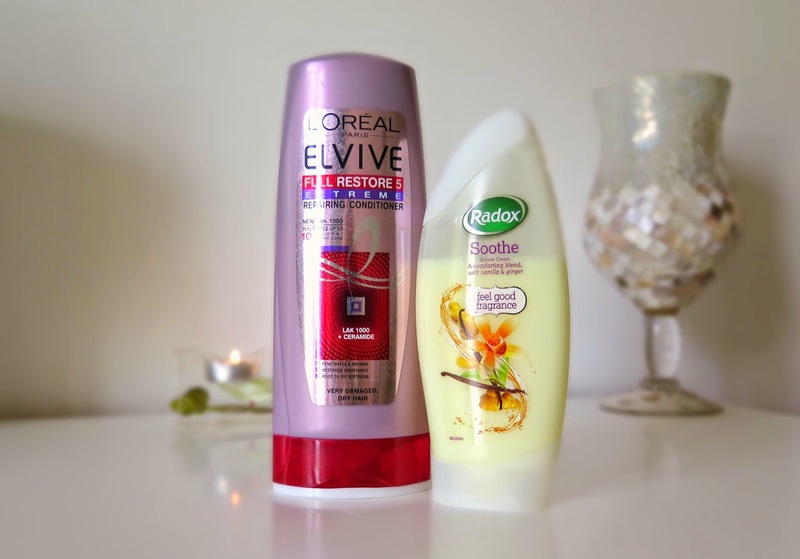 Then I used it for the first time and was super impressed, it has a really rich creamy consistency and as soon as even a smidgen touches my parched hair I can run my fingers through it without yanking and pulling tufts out! This pleases me a lot, I don't have to use even half as much as I normally would and I can feel it actually makes my hair smoother and softer, and a comb glides through it like a hot knife through butter, bonus! The only thing I have discovered is that I need to keep it away from the roots of my hair, it's so rich that my fine hair can't take it that close to the scalp or else I end up looking like I haven't washed it at all the day after and it looks greasy and flat and does me no favours in trying to avoid looking like a tramp. With all other conditioners I slather it on at the roots as well and it makes no difference. So if you are looking for a couple of little bargain beauties, then I would definitely recommend these. But even if you don't like them it's not like you have wasted a ton of money! That's what we like to hear! p.s, it smells good too! haven't tried this shower gel but i love creamy shower products! Yer me too, I love anything with honey, vanilla, brown sugar etc. That's why I love soap and glorys smoothie star body lotion, it smells like cookies. I love this body wash! It smells amazing doesn't it? That Dress | Too Revealing?